I’m a big fan of weekend getaways. 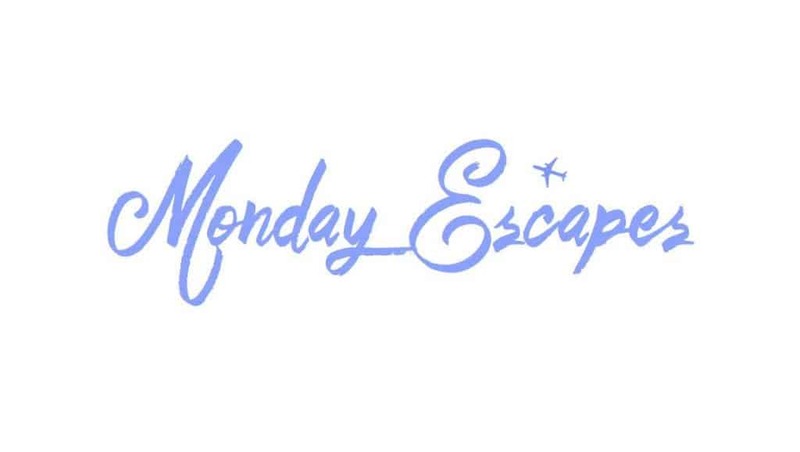 They are perfect for recharging batteries and injecting a bit of adventure into that short 48 hours between the working weeks. So it was with much excitement that we set off on our first mini-break of 2017. Our destination? The Surrey Hills thanks to an invitation to come for a family break at Bel & The Dragon in Churt. Before I go any further, I have a confession. There’s always a tiny bit of dread in my heart at the thought of staying in a hotel with kids. I love it when it’s just Mr Tin Box and I. But it’s very difficult to recreate the luxury of our pre-children mini-breaks when staying in the same room as two small people. They don’t cope well in small spaces, are fussy about meal times and get uppity if you disturb them after bedtime. The result is that none of us really relax. Well, this certainly wasn’t the case at Bel & The Dragon. It was quite literally freezing when we arrived in Surrey. It was late in the afternoon yet the trees were still clinging onto a white lining of frost from the night before and icicles hung from the roofs of buildings we passed on our drive through the Surrey Hills. In stark contrast, we received the warmest of welcomes when we stepped through the door of Bel & The Dragon. Mr Tin Box had been working in London and I had travelled up from the West Country with the girls. I arrived first and decided to stretch our travel weary legs in The Sculpture Park across the road. I’ll be writing about this fascinating place another time, but after 45 minutes of appreciating a variety of wonderful artworks, we were chilled to the core. Bel & The Dragon’s General Manager, Mike, read the situation well (our bright red and runny noses were a bit of a give away) and showed us through to the bar to warm up with delicious hot chocolates. This is where we had our first taster of Bel & The Dragon’s family-friendly set up. The beautifully decorated country house-style bar area has several shelves stacked with children’s books as well as classic reads. 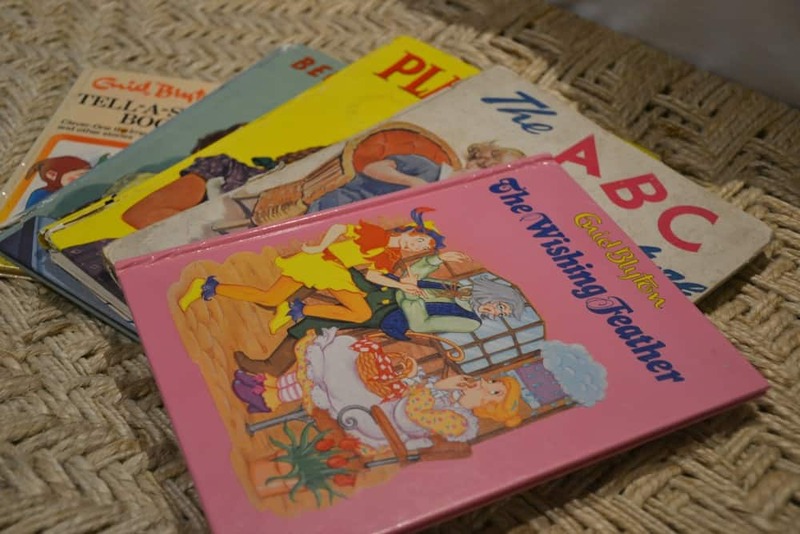 The girls loved helping themselves to these books, which were also available in the restaurant, throughout our stay. When we were completely thawed from our walk it was time to look at our family suite. We were staying in the Wentworth Room in the Cottage alongside the main inn. There’s several rooms in this large converted house, all sharing an entrance and communal tea and coffee making area. As well as hot drinks you can also help yourself to two decanters of whisky – Mr Tin Box was in heaven! Our suite was a great size with a king-sized bed, sofa, arm chair and still plenty of room for Tin Box Tot and Baby to play on the floor. That’s not to mention an enclosed garden, to which we had exclusive access. Off the main living area was a snug bunk room for the girls and a large bathroom with a roll top bath and large, rainfall shower. I was incredibly excited to see the bath and made sure I found the time for a relaxing dip during our weekend. Bliss! Other lovely touches in the room, were the vintage children books (I remembered some of them from my own childhood), the 100% natural Bramble toiletries and a complementary bottle of Sipsmith Sloe Gin. The restaurant in the inn offers an A La Carte menu of dishes for parents and children made with local produce. We dined there on our first evening. Service starts at 6pm, which is a bit late for our ravenous four-year-old and 20-month-old. However, Bel & The Dragon have the children’s dinner entertainment covered. Not only were there books and colouring sheets, the girls were also given chalks so they could draw straight onto our black table. It is a simple yet brilliant idea and kept them entertained before, during and after our dinner. Tin Box Tot and Baby ate macaroni cheese followed by ice-cream while Mr Tin Box and I treated ourselves to a full three course meal from the January menu. 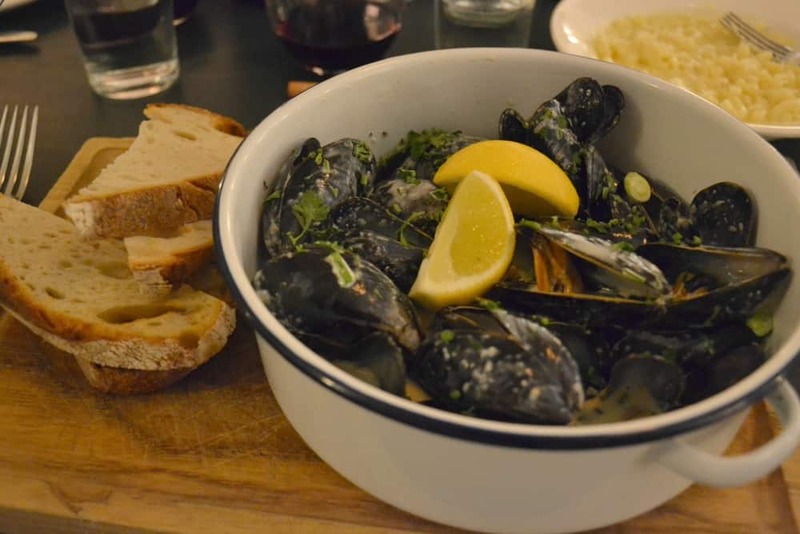 It was all fantastic but I can highly recommend the Scottish Mussels and Caramelised Lemon Tart. Breakfast is included in your stay at Bel & The Dragon and is also served in the restaurant. There’s a choice of cereals, toast that you can make using a fresh loaf, yogurts, juices and cooked meals. Apart from the variety of child-friendly cereals being a bit limited, we had plenty of options for hot food and everything came in sizeable portions. I would have had to stay several nights to try all of the breakfast dishes that caught my eye. The girls particularly enjoyed sharing a huge bacon sandwich one morning and then blueberry pancakes with crispy bacon the next. It was ideal fuel for our days out in the area. RHS Wisley – world-class gardens with plenty of space for children to explore. There’s also a butterfly event in the glasshouse until March 2017. Alice Holt Forest – a stunning Forestry Commission forest. You can hire bikes, follow adventure trails and Go Ape in there tree tops. Poleden Lacey – an Edwardian house and estate run by the National Trust. There’s a woodland play area, bird hide and outdoor theatre. 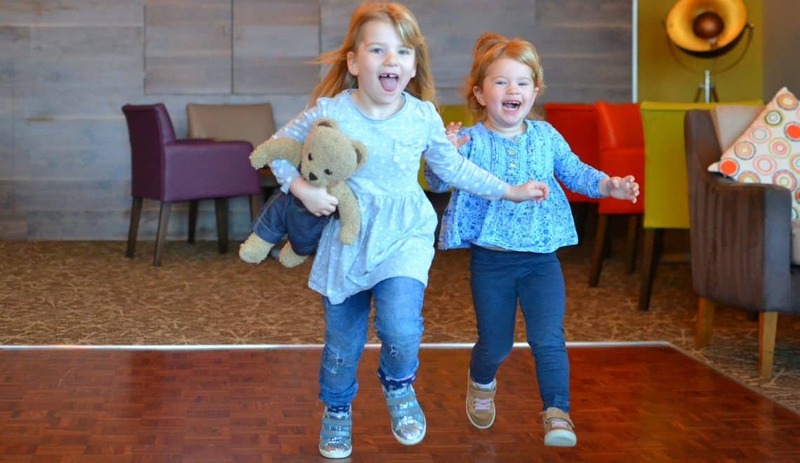 If you’re tempted to try a family break or meal at any of Bel & The Dragon’s restaurants then make sure you take advantage of their ‘kids eat free’ offer over the February 2017 half term. The offer is open to children aged under 12 dining before 7pm from Monday 13 to Saturday 18 February, 2017. Contact Bel & The Dragon for full T&Cs. 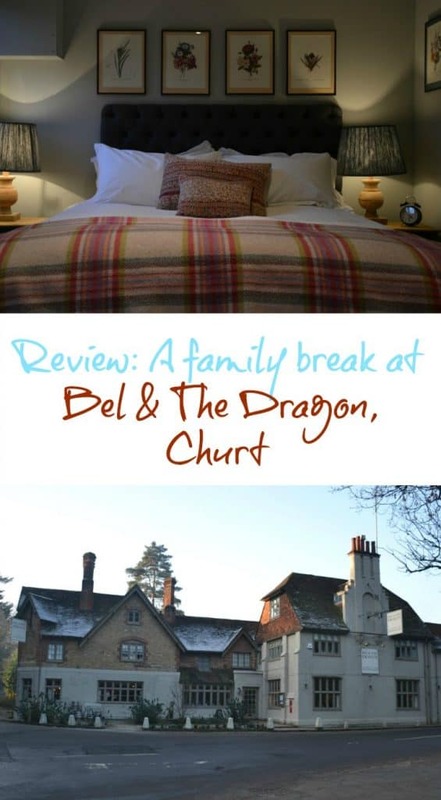 We were so impressed with Bel & The Dragon’s family-friendly approach and how they manage to achieve this in luxurious surroundings. They understand that happy kids make for happy parents, and vice versa. We left feeling we’d had a great family mini-break and more than a glimpse of our pre-children hotel stays. Disclosure: we were invited guests of Bel & The Dragon for the purposes of an honest review. All views are my own and those of my family. What a gorgeous place Claire, reminds me of a place we found in Norfolk. It’s magic when you stumble on a hotel that does great food, stylish interiors and is still enjoyable with little ones isn’t it! Love your photos. It looks like such a lovely place to stay and I think I would have loved a little browse through the kiddie books too. The food looks so good! Fiona Cambouropoulos recently posted…Keeping chickens safe from the European bird flu. Yes, we are made to feel so welcome with the little ones. They loved it too. The enclosed garden and rainfall shower have me itching to visit! I’m glad to hear that this place worked out well for traveling with your kids. It looks lovely! It was beautifully done Sarah. Our room was in a separate cottage but it complemented the main inn. I could have taken a few arm chairs home with me! You’re right, it was perfect for a winer short break. I can imagine with a bit more time in the evening we would be snuggled up by the inn’s fires. Looks like an incredible place to stay that the whole family loves. It’s great to read about places like these that give any stay a personalized touch! They were so welcoming and definitely very well suited to families with young kids like ours. A real find! It was lovely Karen. I can highly recommend it. I think your girls would love exploring The Sculpture Park too. It would be lovely for a couple’s retreat. 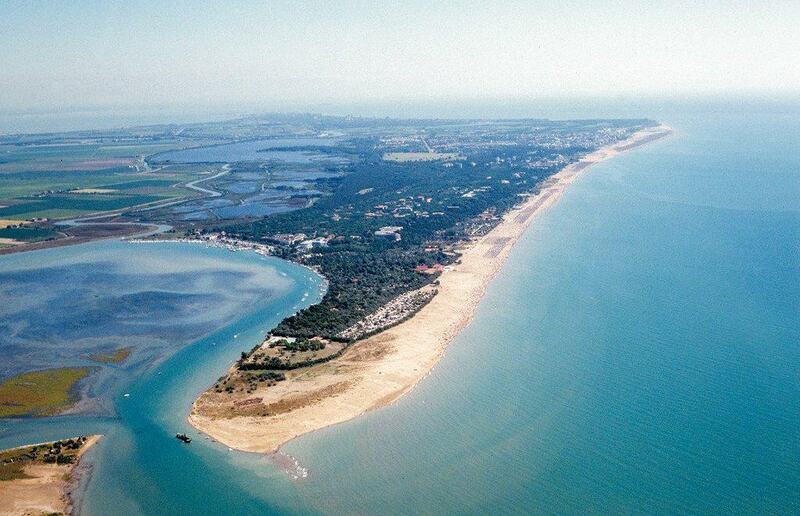 I might have to persuade Mr Tin Box to take me back there…although I don’t think it would take much! I can’t lie, the bath was brilliant. It ws such a lovely place for a short break. I must write about the butterfly event soon too. Oh Claire what a treat! The interior design of the living rooms in the bar area and your family room is so cosy and welcoming. The mussels and puddings look seriously yummy too! Oh wow it looks idyllic – I LOVE that the bar/lounge serves lovely hot chocolates and has a selection of children’s books. You can’t ask for a warmer welcome than that can you? Sounds like they’ve nailed family friendly to me! We were freezing, so we couldn’t have gotten a warmer welcome!